Our Spring Classics programme, focusing on the hilly Ardennes Classics of Amstel Gold, Fleche Wallonne and Liège-Bastogne-Liège is embedded within a three month sequence of holidays & training camps located in the warmer climate of southern Spain (Feb-May). Our Ardennes pro race package brings together a heady mix of atmospheric roadside spectating at some of the most hotly contested races of the year and the opportunity to ride the 'killer' bergs, côtes and murs of Eastern Belgium for yourself. With top pros often riding their own race course reconnaissance on the days immediately prior to the events themselves, you'll have every chance of rubbing shoulders with some of 'the greats' as you crank your way up the Mur de Huy, the Cauberg or La Redoute. To give your legs (and maybe your morale?) 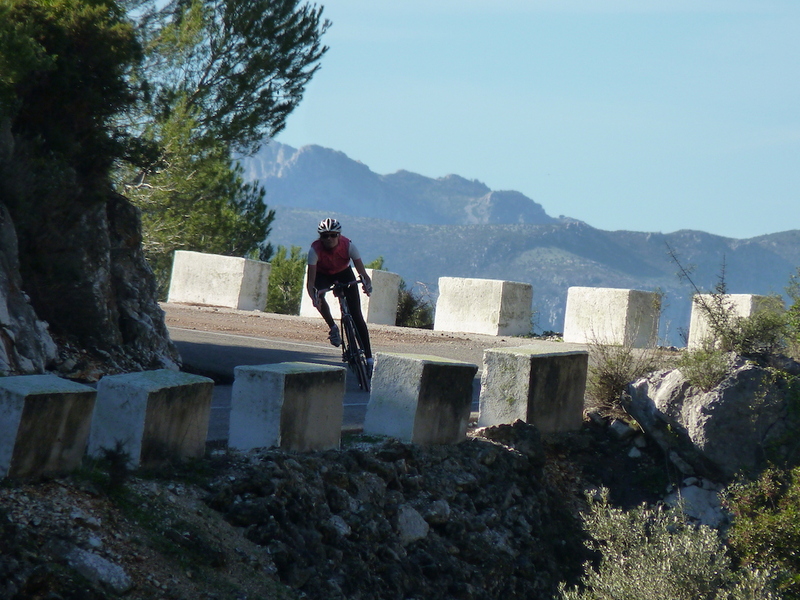 a boost after the usual downturn of a Northern European or North American winter, treat yourself to one of our specialist training camps or general warm-weather cycling holidays in the sierras of Southern Spain. With infinitely flexible itineraries, superb roads, comfortable accommodation and fantastic hopsitality, our Spanish options are a great way to re-find your cycling 'mojo' if it went missing in action between November and February! The 'holiday, not a training camp' option gives you complete flexibility to ride exactly what you want each day. Our inland location keeps you away from the busier coastal roads but provides easy access to moderate climbs, rolling terrain or easy recovery rides. Or give your fitness and endurance a great boost with a solid week of hilly/mountainous riding. We'll suggest daily routes of around 100-120km with 1500-2000m of elevation gain and plenty of opportunities to build in 'interval training'. In an action-packed week in the Ardennes you can choose to include any/all of the Amstel Gold Race, Fleche Wallonne and Liège-Bastogne-Liège on your itinerary. Challenge yourself on the iconic bergs, côtes and murs, then sit back with a Belgian beer and watch the pros make the climbs look easy.